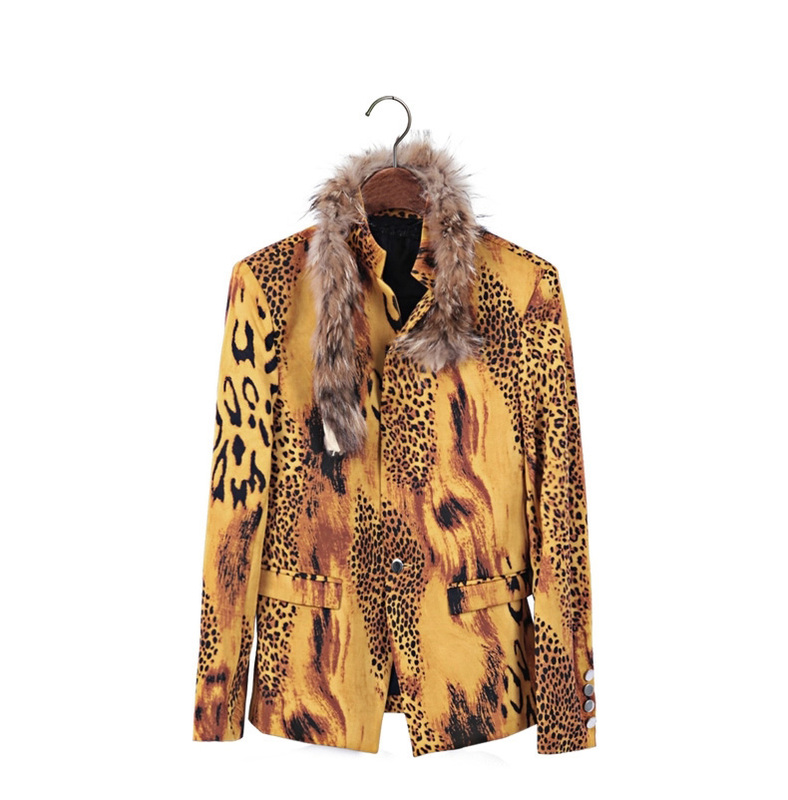 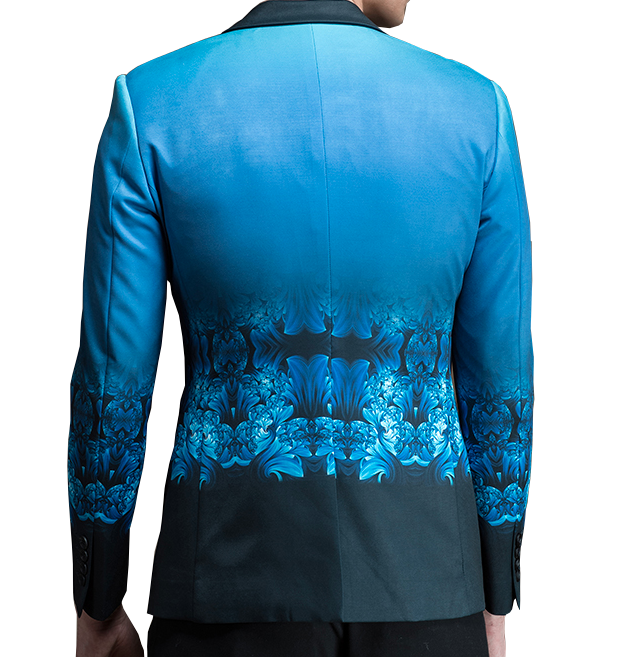 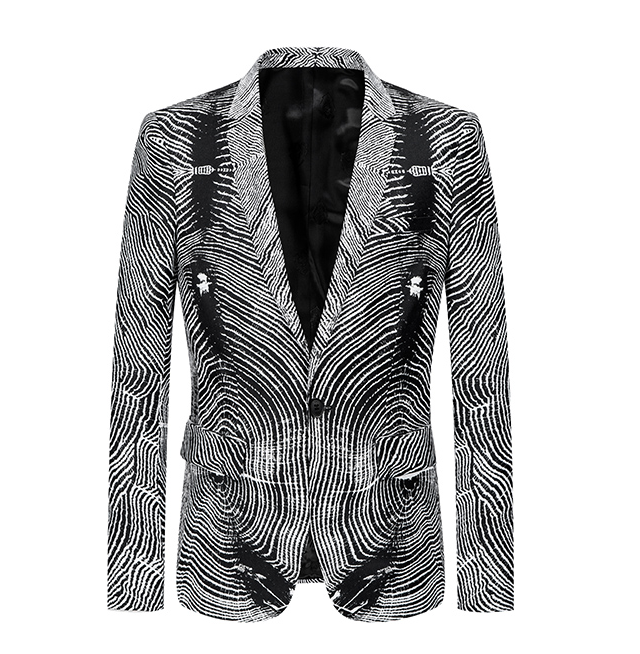 This new, super artistic blazer reveals your charm and creative nature excellently! 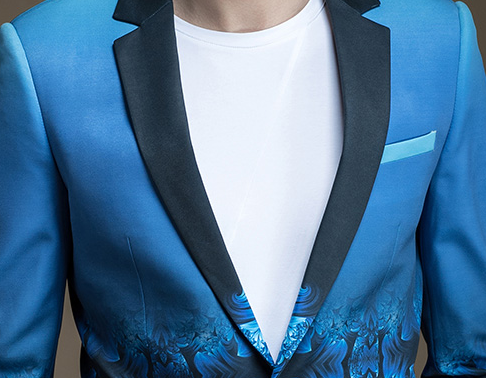 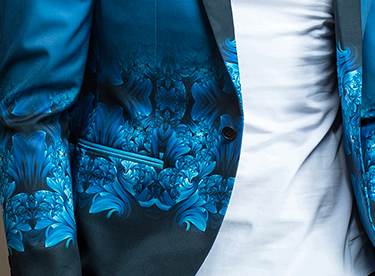 With a gradient design that fades from a subtle blue, to a cool floral motif, you'll look very much ahead of the fashion trends and elegantly attractive. 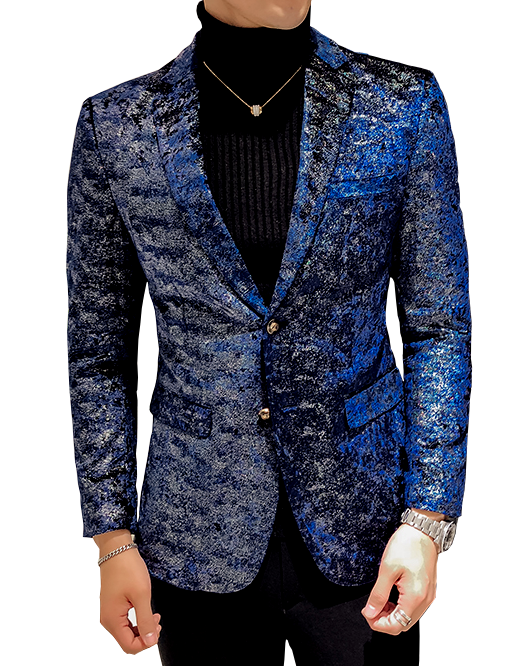 Wear this casually with black or dark blue denim jeans pants and a plain t-shirt, or more traditionally with black trousers and dress-shirt/neck tie. 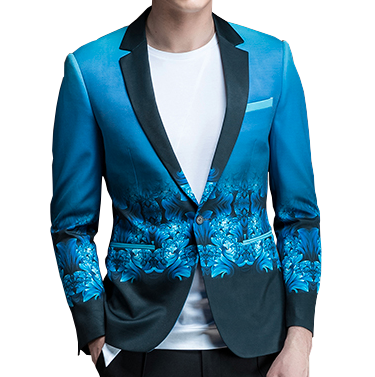 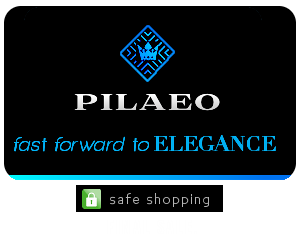 This unique blazer is flexible and goes to show that you are capable, charming, and ready to be an achiever 110%.